Kevin Durant and Russell Westbrook are a unique NBA duo. 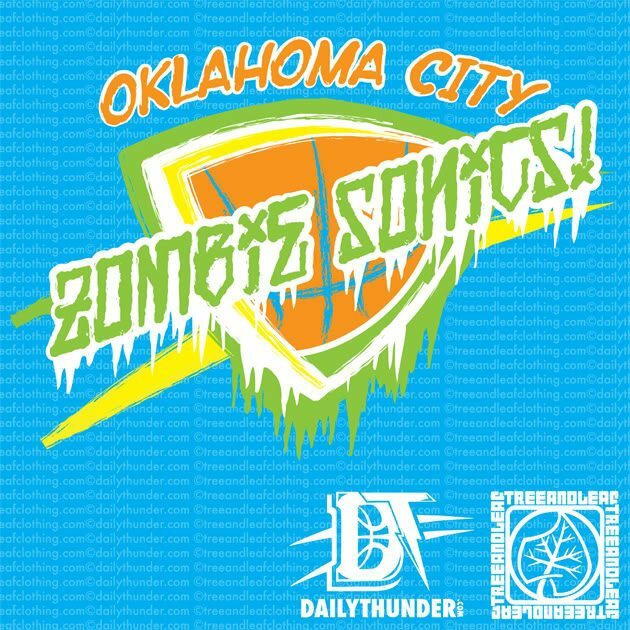 The Oklahoma City Thunder’s rise from a 20-win zombie franchise in 2007-08 to an NBA finalist just four seasons later seemed to follow a familiar storyline: Team drafts a megastar (Kevin Durant), team shrewdly surrounds him with a talented supporting cast (Russell Westbrook, James Harden, Serge Ibaka, et al. ), team waits for the championships to start rolling in. That’s how things looked when the Thunder reached the finals in 2012, Durant’s fifth year as a pro, and even in the years that followed. By the 2013-14 season, Durant was the league MVP and the Thunder had (somewhat) recovered from the infamous trade that sent Harden away for financial reasons (only to see him emerge as an MVP candidate in Houston). OKC seemed as stable a championship contender as any. What’s happened since hasn’t traced nearly as tidy a narrative. Durant followed up his MVP campaign with a 2014-15 season mostly lost to injury, after which coach Scott Brooks was fired in favor of Billy Donovan. The team re-signed forward Enes Kanter to an ill-advised $70 million max extension, only to banish him to the bench almost immediately (he sees about 20 minutes per game these days). Meanwhile, Westbrook has spent the past two seasons running over the league — by most measures, snatching “best player on the team” honors right out from under the ex-MVP Durant, even with Durant back to relatively full health. Ever since Durant took home that hardware, Westbrook has outshone him in both Real Plus-Minus (8.1 to 5.6) and Box Plus/Minus (10.7 to 6.7). You can blame a little of that on a banged-up Durant toiling through injuries — his per-minute numbers are slightly down since 2013-14 — but most of it is because Westbrook has become an irrepressible hardwood force in his own right. Durant hasn’t gotten appreciably worse; Westbrook has simply gotten that much better. He may not quite be the best player in basketball right now (Steph Curry is off in another dimension), but Westbrook has staked a pretty solid claim to the No. 2 slot, well ahead of even Durant’s form in his MVP season. Before last season, Westbrook was firmly ensconced behind Durant as the Thunder’s second banana, a configuration that — if history was any kind of guide — appeared ordained to stay in place as long as both players wore an OKC uniform. But Westbrook blossomed in Durant’s absence last year, and the changes to his game have stuck. He’s upped his offensive efficiency — despite a crushing workload — and he’s even improved to become one of the game’s best defensive point guards this season. I reached back into NBA history and filtered for NBA MVPs who, like Durant, led their team in BPM2 during their MVP season.3 Only nine lost their statistical lead on the team at some point over the next two seasons. Two of those claimed it back after relinquishing it for a year. Of the remaining seven, three more — Bill Russell in 1964-65, Hakeem Olajuwon in 1993-94 and Dirk Nowitzki in 2006-07 — were later supplanted by a player who, unlike Westbrook, was new to the team and therefore not in place when the MVP established his dominance. That leaves only three other MVPs in NBA history (not including Durant) who were overtaken by an existing teammate as their team’s best player: Tim Duncan, whose 2002-03 MVP campaign eventually gave way to the emergence of Manu Ginobili; 1979-80 MVP Kareem Abdul-Jabbar, who would hand LA’s reins to Magic Johnson in 1981-82; and Kobe Bryant, who was (ducking as I type this …) outplayed by Pau Gasol on the 2008-09 and 2009-10 Lakers. If the Thunder’s new hierarchy holds up until season’s end, Westbrook eclipsing Durant would make for only the fourth such instance in the last 61 years.4 And it would be unique even among those cases: Kareem was still productive but beginning to decline by 1982; Ginobili was a sixth man — better than Duncan on a per-minute basis but not a genuine threat to wrest the team away from him; and Gasol was acquired midway through the 2007-08 season. Even if we expand the search to include merely “MVP-caliber” seasons (performances by qualified players5 who ranked among the NBA’s top 10 in BPM for a given season), only 55 more cases float up since 1951-52, and none happened to a player remotely as good as Durant was (+8.8 BPM) during the 2013-14 season. The closest analogs among the MVP-caliber ranks, according to BPM? David Robinson (+7.8 BPM in 1997-98) passing the torch to Tim Duncan; Scottie Pippen (+7.8 in 1994-95) stepping aside for Michael Jordan’s return; Kevin Garnett (+7.4 in 2007-08) ceding control of the Celtics to Rajon Rondo; and Shaquille O’Neal (+7.0 in 2001-02) giving way to Bryant. But of those, none are especially evocative of the Westbook-Durant dynamic. Robinson was of a different generation than Duncan, Pippen was clearly keeping MJ’s seat warm, Garnett hadn’t been a Celtic for long and Bryant’s takeover of the Lakers was deeply hostile.6 Westbrook and Durant, by contrast, are the same age, have been teammates for roughly the same amount of time and are, by most accounts, close friends for whom “alpha dog” hierarchy isn’t an issue. That last bit underscores just how unique the Westbrook-Durant situation is. It’s rare enough for a reigning MVP to be surpassed by a teammate. But for it to happen with so little locker-room friction? That’s unheard of in the dog-eat-dog world of the NBA, so much so that there may not be another case quite like it in all the annals of league history. And the presence of what are effectively two MVP-type alpha dogs, playing in harmony,7 might be what the Thunder need to emerge from the Warriors’ and Spurs’ long shadows. Barring injury or abnormal circumstances (i.e., their level of play drops off the face of the planet). Or, for years before 1973-74, a BPM equivalent formed by mixing Player Efficiency Rating and Win Shares per 48 minutes. Sorry, Steve Nash — BPM considered Shawn Marion to secretly be the best player for the 2005-06 and ’06-07 Suns, and I can’t say I totally disagree. That’s how long the NBA has been handing out MVP awards. Players who logged at least 48.9 percent of their team’s available minutes — the same frequency with which Bill Walton played during his 1977-78 MVP campaign. Bryant became the Lakers’ best statistical player by 2002-03, but the transition was anything but smooth — he and O’Neal spent the better part of that season and the next embroiled in an intense feud. Only two duos — Harden and Trevor Ariza for Houston, Curry and Draymond Green for Golden State — have played more minutes together per game this season than Durant and Westbrook.